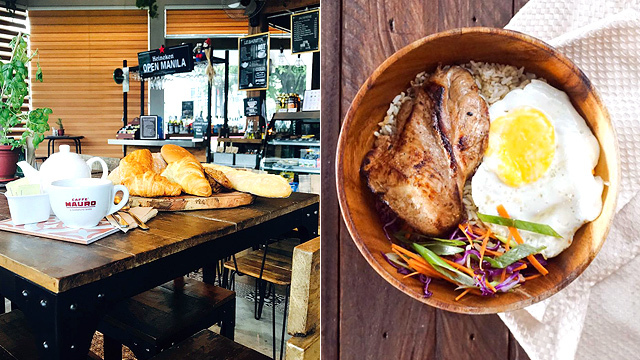 Chill with Chef Ian Padilla's "eclectic" dishes. (SPOT.ph) Sometimes, it's the restaurants that refuse to be boxed in that end up surprising you with their creative palate-pleasers. You could consider Common Table one of those destinations, with Chef Ian Padilla playing fast and loose with different cuisines. But it's not fusion, either; if anything, Chef Ian would describe his menu as "eclectic." 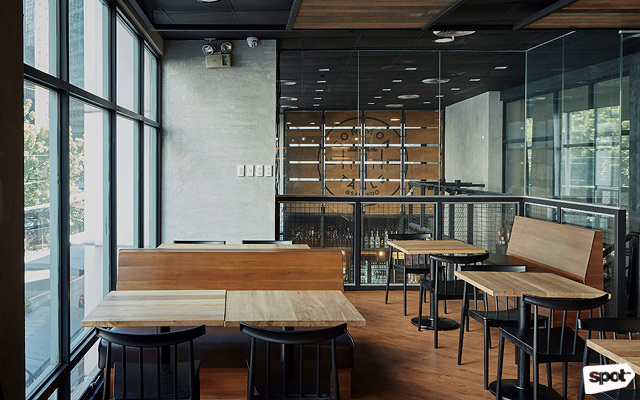 In contrast with his menu, he and his partners keep their interiors simpler and more straightforward. 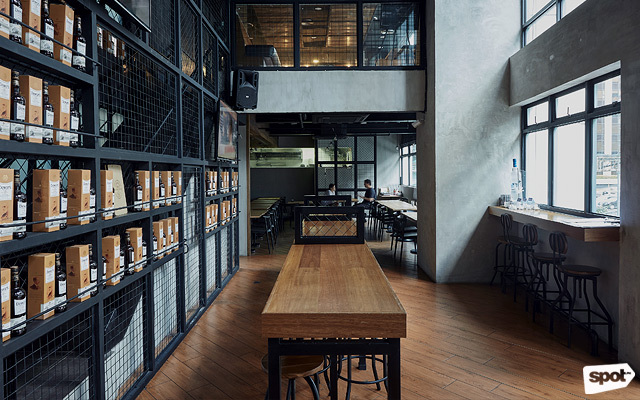 Common Table stands out as a relaxing, homey hangout, its minimalist, industrial interiors of stone, wood, concrete, and steel giving a no-fuss, no-frills vibe that makes it perfect for those seeking a breather amid the urban jungle. The idea was to offer diners something simple yet hip—a place where locals could hang out and chill with good food, fantastic drinks (there are four imported beers on tap and an awesome mixologist who can concoct customized cocktails), and fabulous music (it’s '80s music night every Friday and '90s music all the way every Thursday). The first floor consists of a long communal table with bar stools, while the rest of the space is devoted to individual tables. 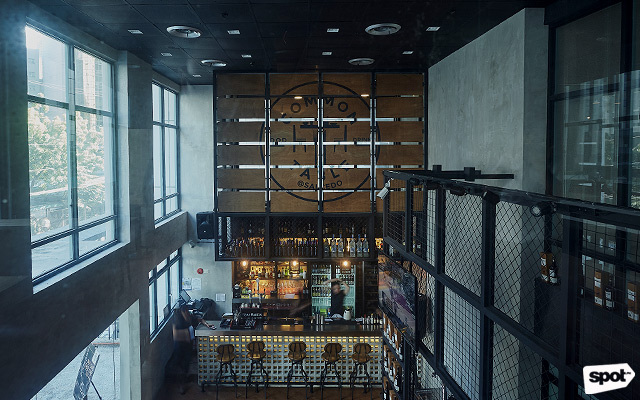 The second floor serves as the gastropub’s private function room, where one can hold parties and large gatherings. In keeping with the theme, they’ve done away with the fancy cutlery and tablecloths. “We don’t want to come off as intimidating,” Chef Ian says, explaining that Common Table’s vision is similar to neighborhood bars in the U.S., where everyone knows everyone and the servers know you by name and, more importantly, your usual fare. 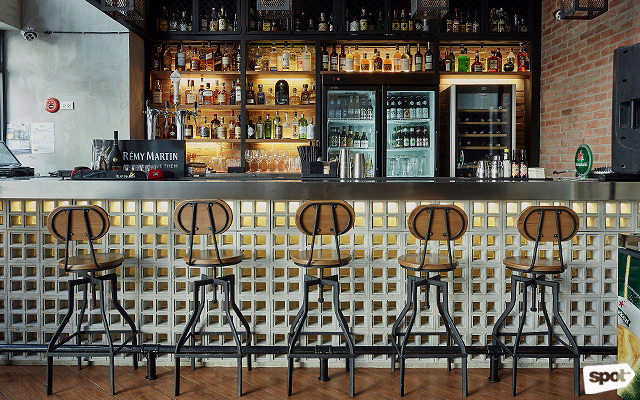 Common Table is one place where titas and titos can feel totally at home, kicking back to the likes of Metallica, Guns N' Roses, Madonna, Jamiroquai, even “vintage” Adele (think “Chasing Pavements”). And when it comes to the grub, the pub doesn't disappoint, either. You can see the influences from all over the globe: France, Korea, Japan, the Philippines, and more. But Chef Ian shapes these global flavors into dishes that are uniquely his, and ultimately, Common Table's. “Most Pinoys don’t really like cauliflower,” Chef Ian explains, which is why he decided to play with this particular veggie. The result is the KFC a.k.a. 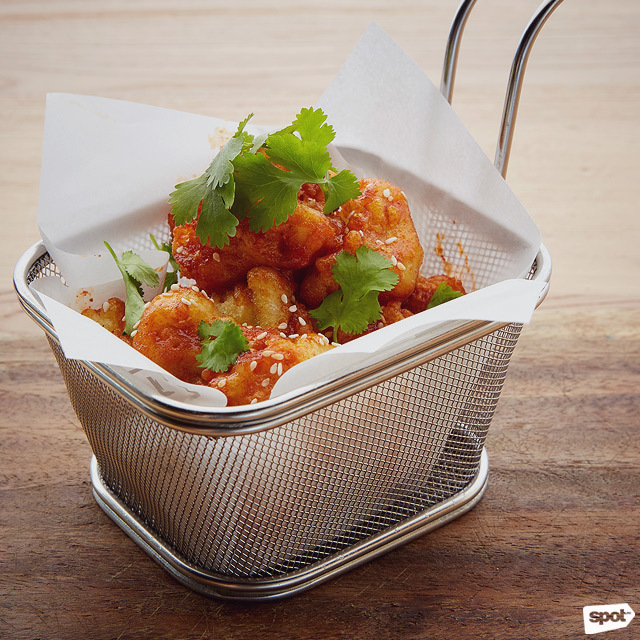 Korean Fried Cauliflower (P250) or cauliflower dipped in a special batter with kimchi purée, deep-fried, and topped with toasted sesame seeds and coriander. Wash down this sweet-spicy dish with a glass of ice-cold beer and you’re all set for a night of decompressing before heading home to hit the sheets. 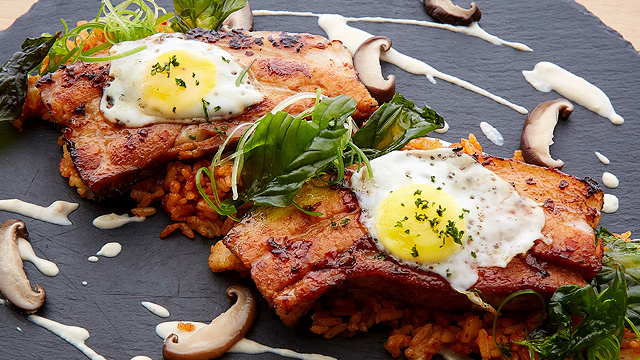 The 36-Hour Pork Belly (P450) is an all-in-one special that’s large enough to share. The liempo is pulled-pork tender. 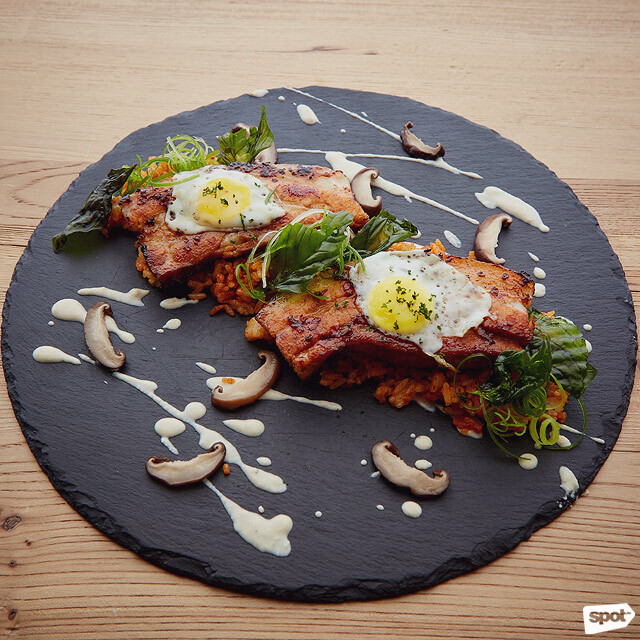 It’s served with kimchi fried rice (topped with sunny-side up quail eggs—so creatively cute! ), fried basil leaves, leeks, pickled shiitake mushrooms, and tofu purée. 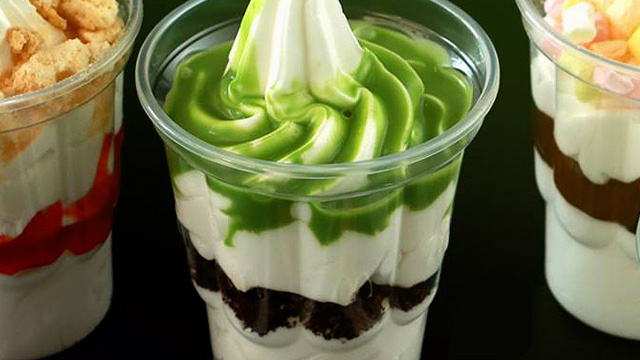 The taste is an indescribable burst of flavors: a hint of umami, a bit sweet and salty. For those enjoying happy hour with friends while waiting for traffic to ease up, the Slider Sampler (P550) is a perfect choice. 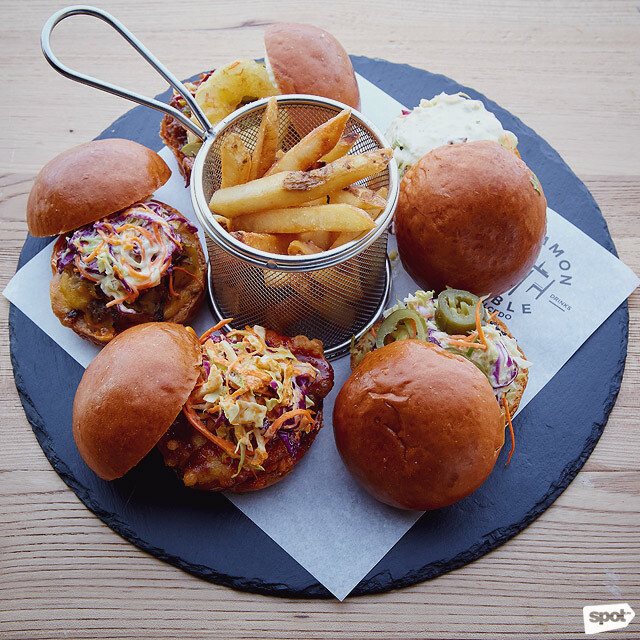 You get to taste all the slider goodies of Common Table in one plate: Fried Fish, Beef, Pulled Pork, Korean Fried Chicken, and Homemade Chorizo. This mix will please a myriad of palates—the sliders are a combination of sweet and spicy, tangy, beefy, and salty. Lightly salted French fries are served to balance out the flavors. This sampler is great for sharing. The Smoked Salmon Eggs Benedict (P420), which will be part of Common Table’s brunch menu soon, is one way to kick off a lazy weekend. 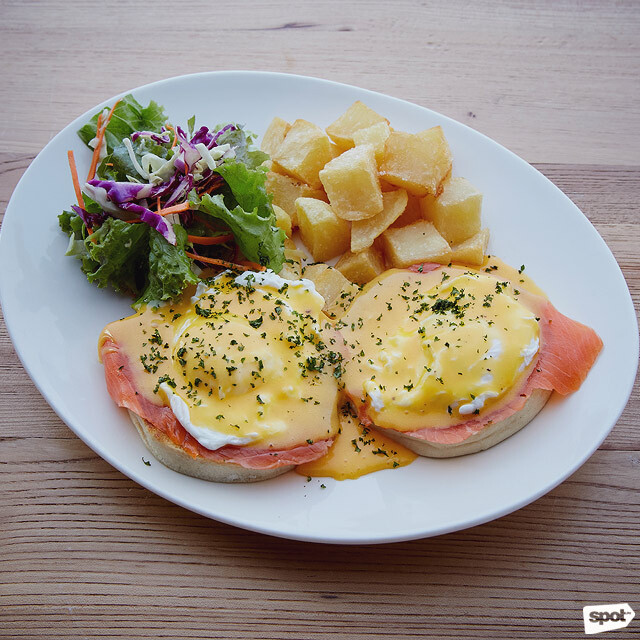 Smoked salmon fillets are sandwiched between eggs Benedict, served with homemade hollandaise sauce, fresh salad, and fried potato cubes. 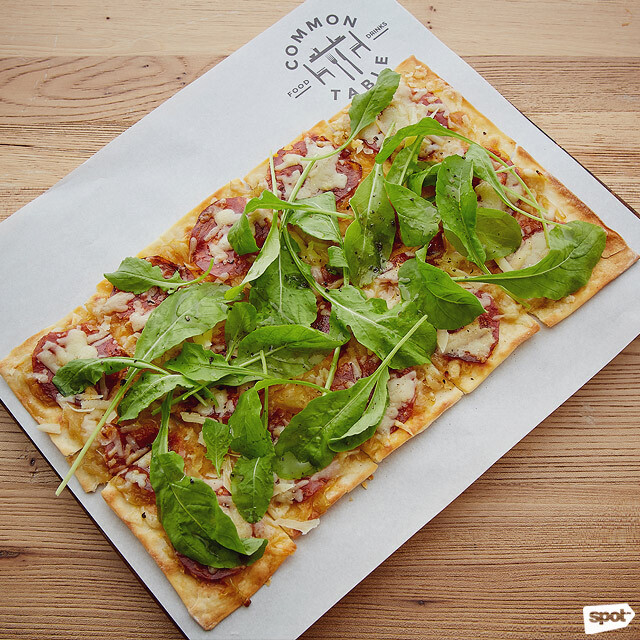 We’re certain the Jamon Serrano Flat Bread (P520) will become a favorite. The flatbread is crisp, and the saltiness of the Manchego cheese is tempered by the natural bitterness of arugula, with the jamon serrano providing just the right amount of kick to round out the taste. If you’re not too hungry and just want to munch on something, this is your best bet. With great eats and a chill vibe, this gastropub is reminiscent of a neighborhood bar: a place where there’s no dress code and you can get your “usual” any time of the day.